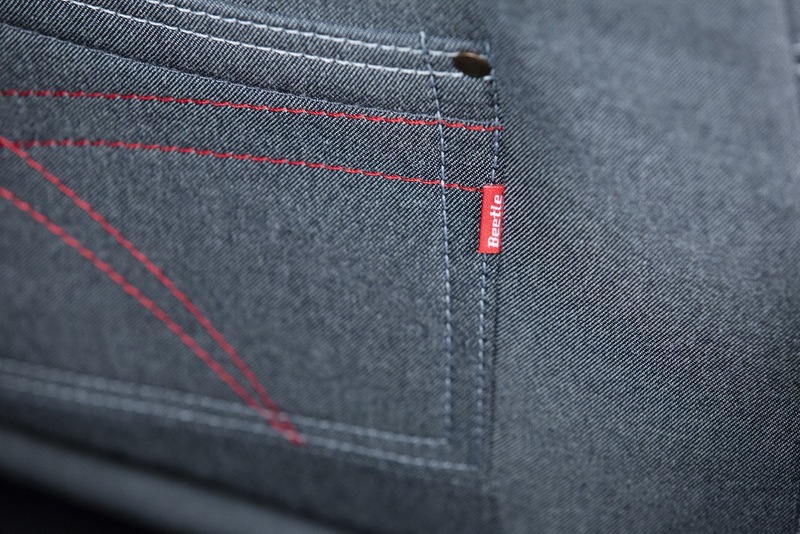 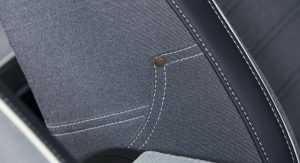 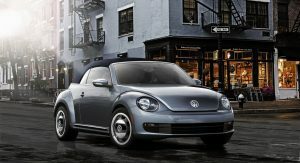 Volkswagen has put a $25,995 price tag (excluding an $820 delivery fee) next to that very Levis jeans-like red tag on their new Beetle Convertible Denim edition. 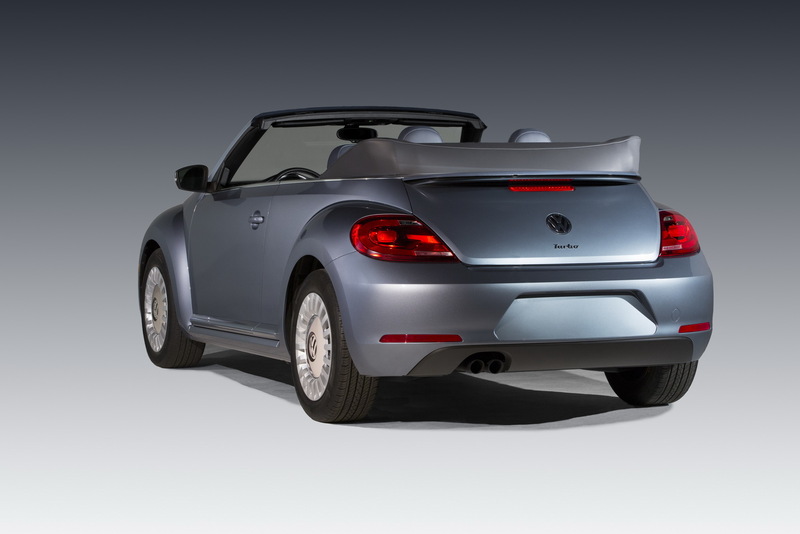 Revealed at last year’s LA Auto Show, the new convertible model pays homage to Jay Leno’s wardrobe…err we mean the 1970s Jeans Bug and will be produced in 2,000 units. 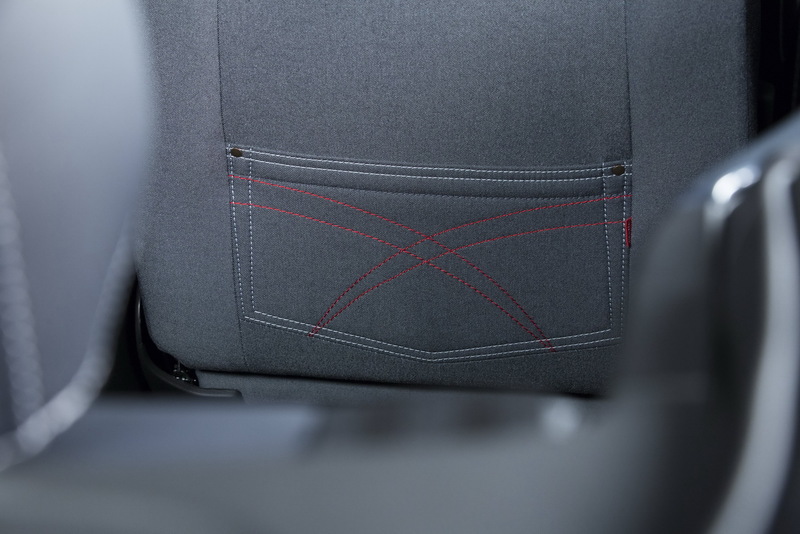 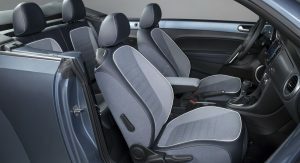 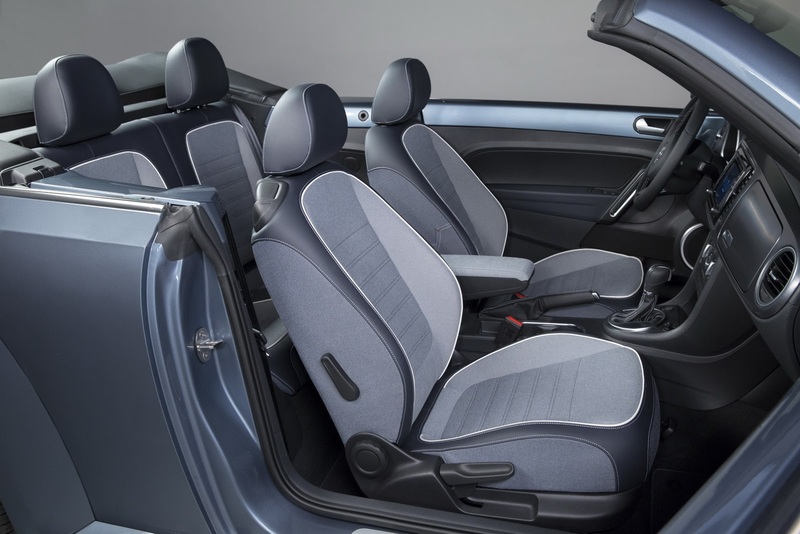 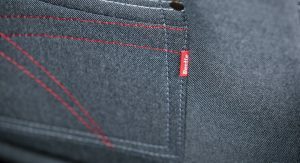 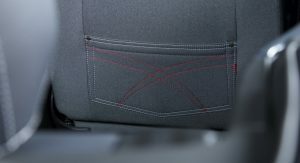 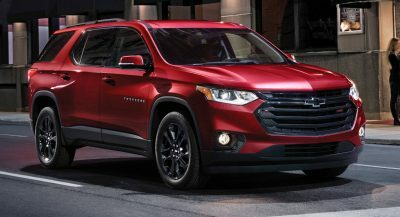 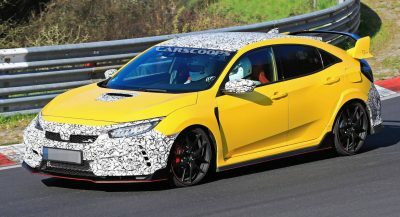 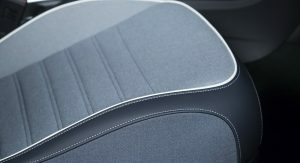 It gets a Dark Blue top made from a new textured fabric that resembles denim on the outside and light blue denim-color cloth seating surfaces plus unique light-blue-and-silver dashpad and jeans-inspired seat pockets with small Beetle flags in red on the inside. 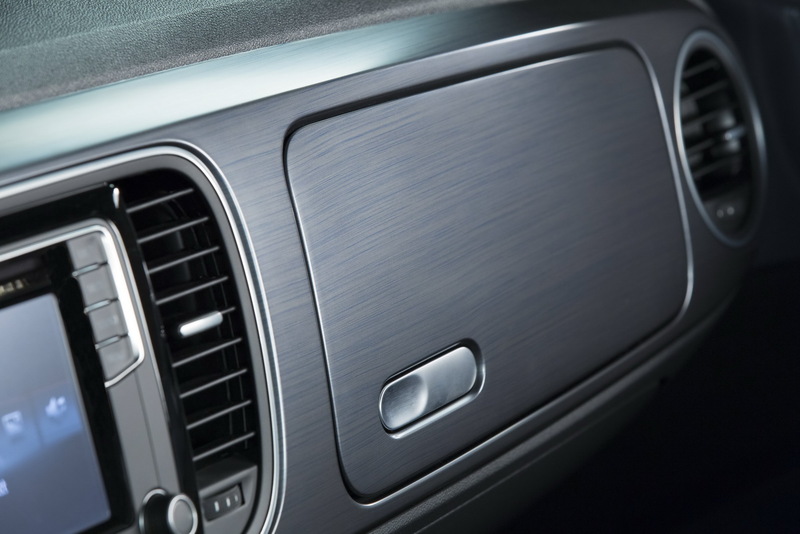 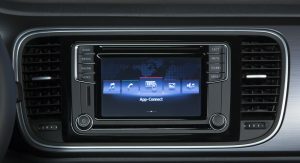 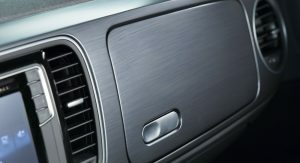 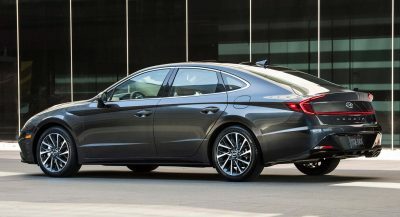 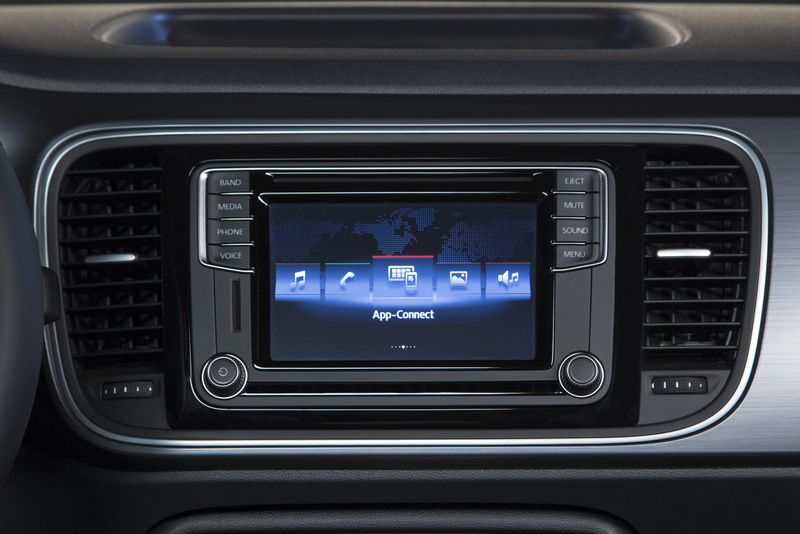 VW’s MIB II infotainment system with a 5.0-inch resistive touchscreen display comes as standard. 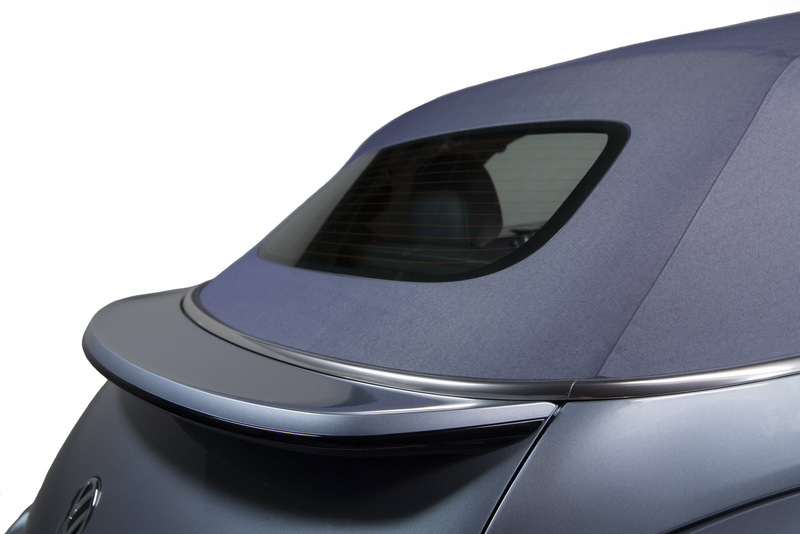 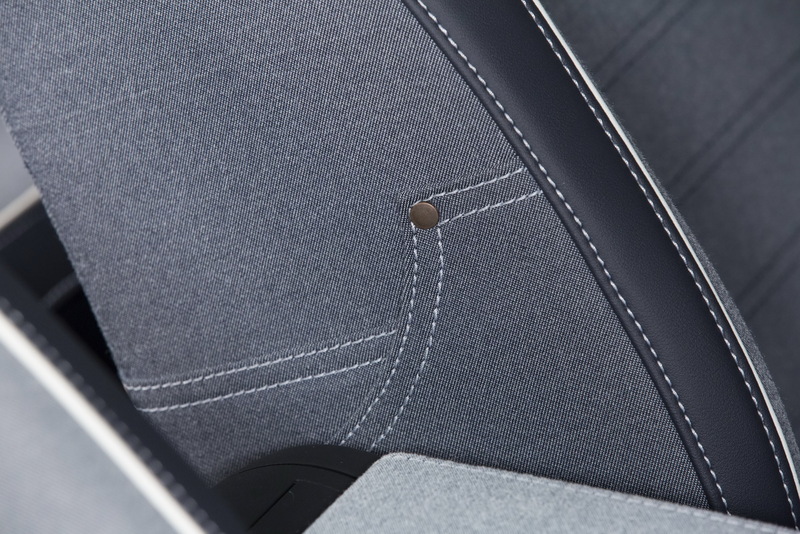 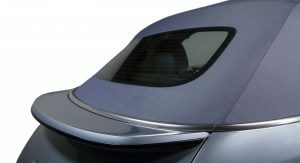 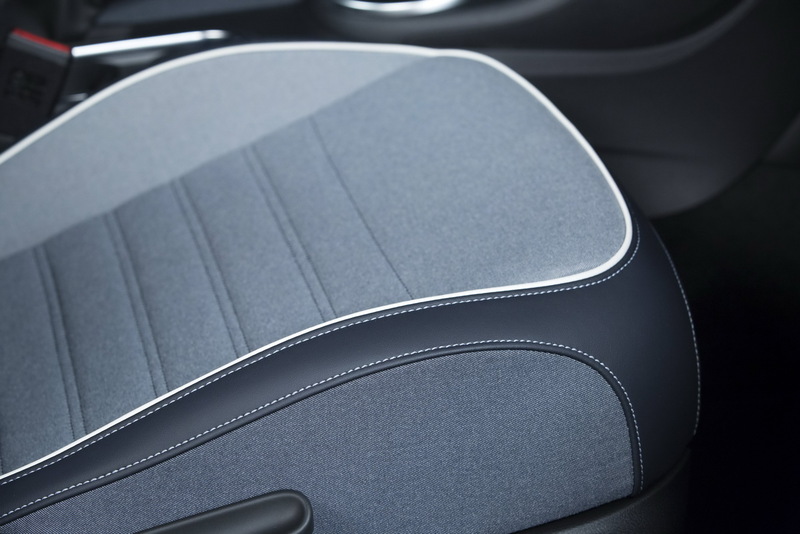 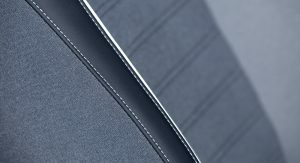 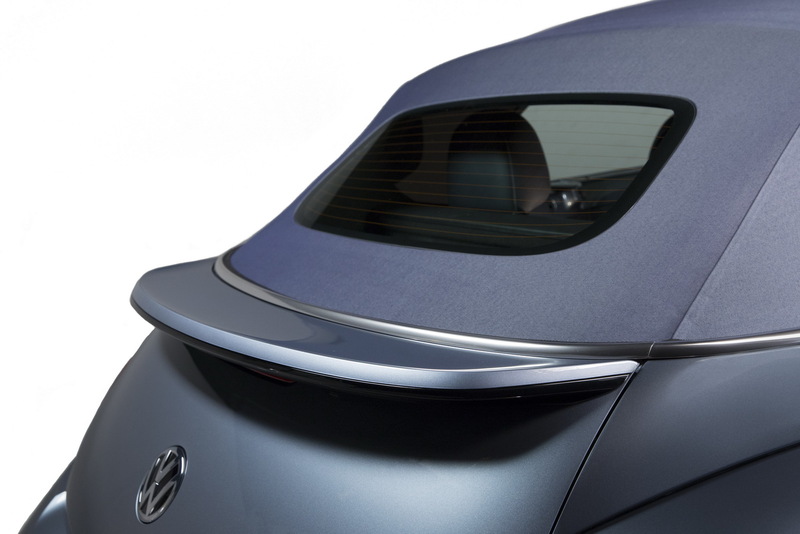 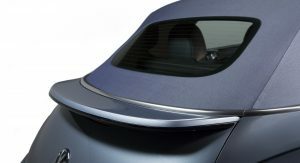 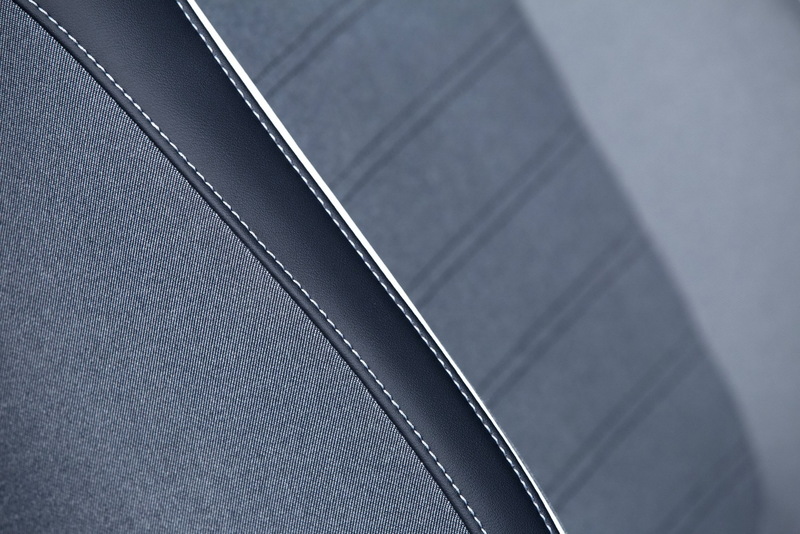 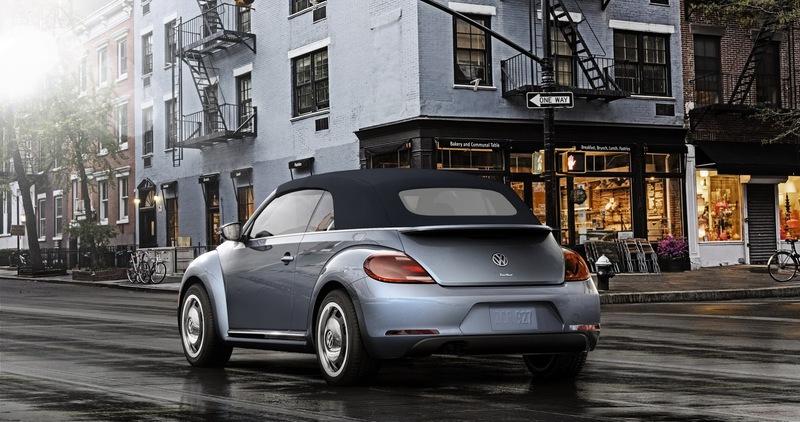 The 2016 Beetle Denim edition can be had in either Pure White or a more fitting Stonewashed Blue exterior hue, with production to be split equally among the two colors. 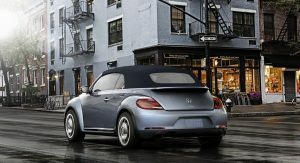 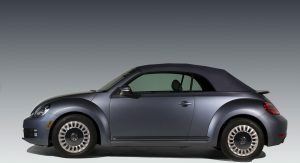 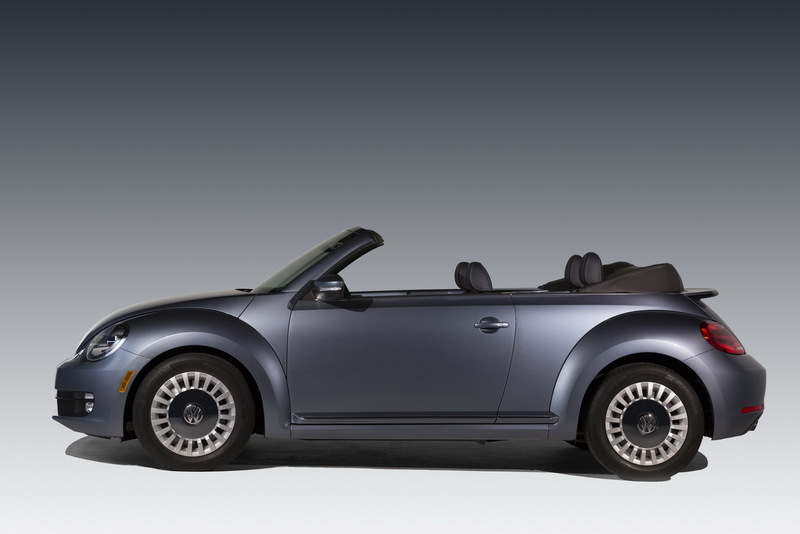 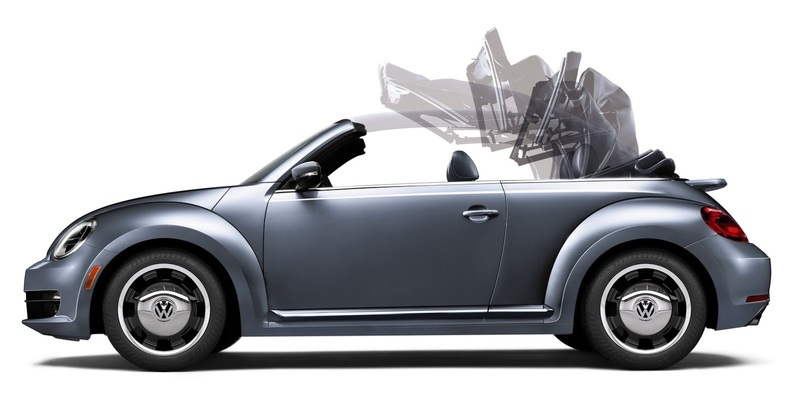 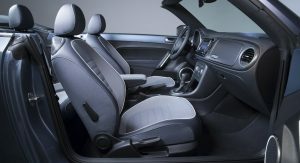 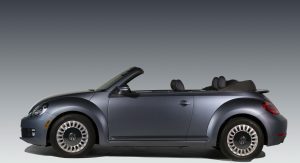 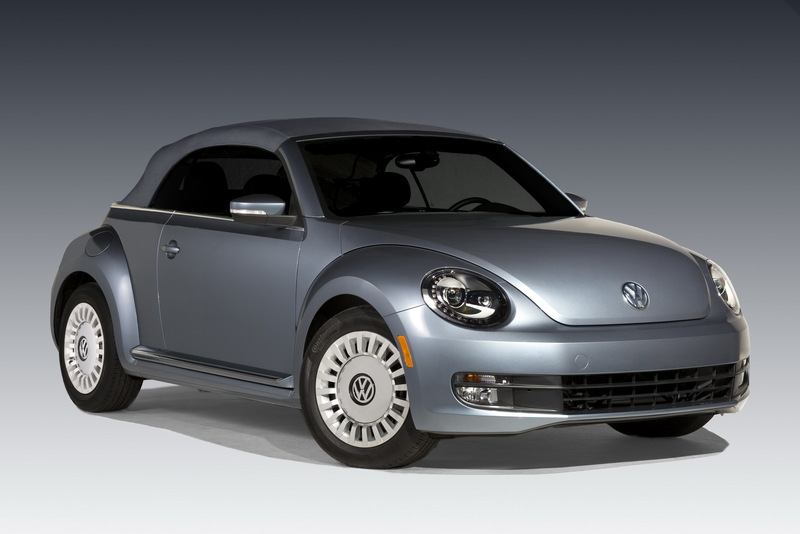 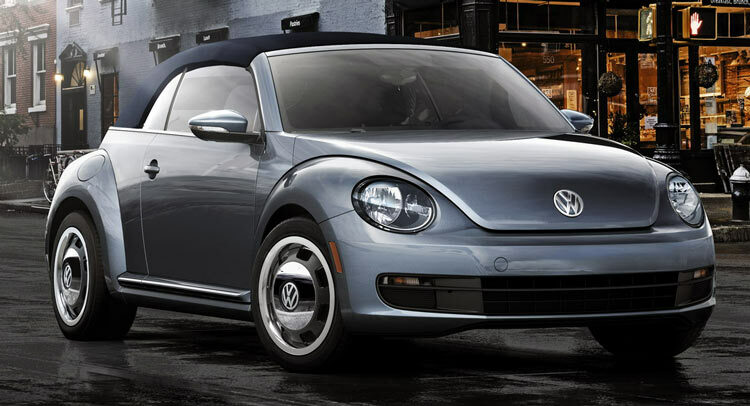 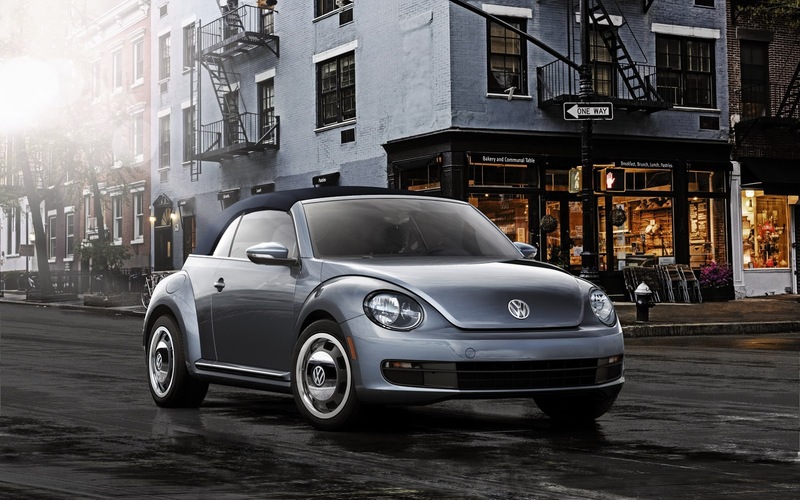 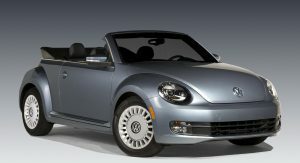 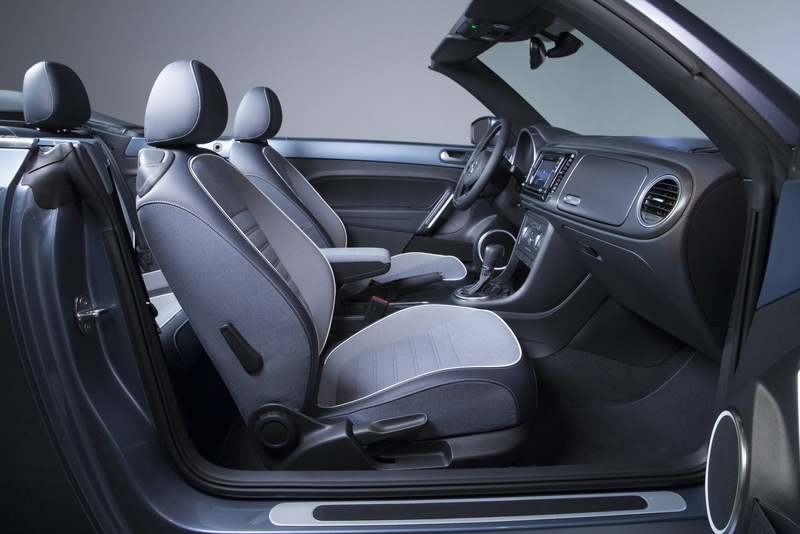 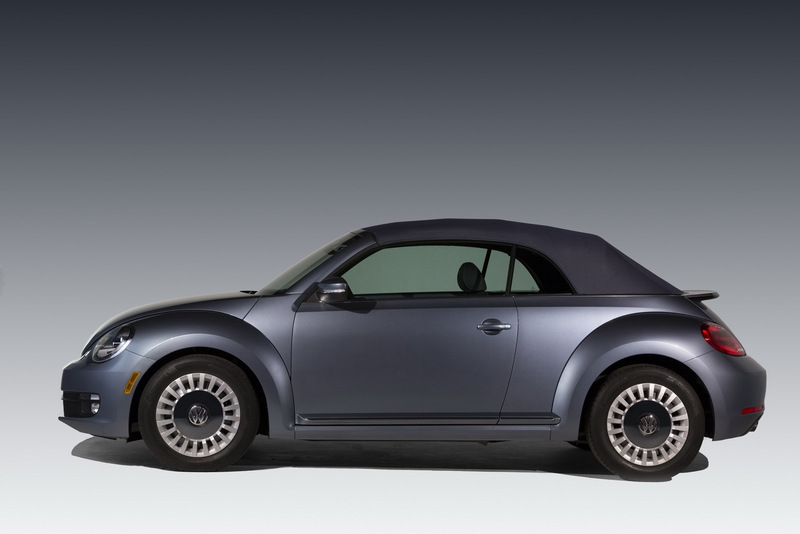 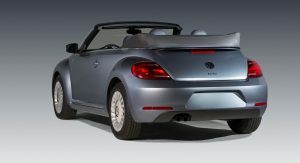 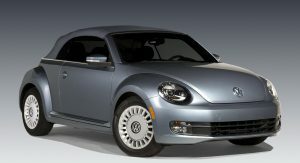 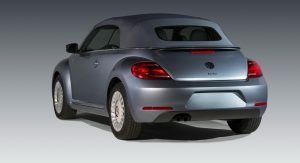 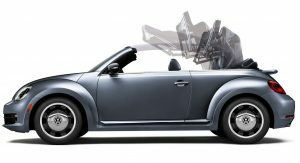 Power for the Beetle Convertible comes from a standard 170hp and 184 lb-ft 1.8-liter turbocharged and direct-injection TSI gasoline engine connected to a six-speed automatic transmission driving the front wheels.